Dental sealants are thin plastic materials that are applied to the chewing surfaces of the back teeth (molars) to prevent decay. The sealants protect the molars by keeping germs and food out of the grooves. 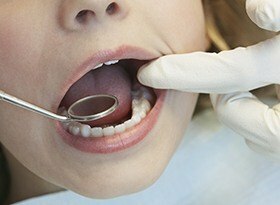 Sealant application is a short and easy dental procedure. Drilling or tooth restructuring is not required. Teeth that will be sealed are first cleaned and then sealed. Sealant application only takes a few minutes per tooth. Sealants are only noticeable up close. Sealants can be clear, white, or slightly tinted. They can last from five to 10 years and need to be checked at routine dental exams.